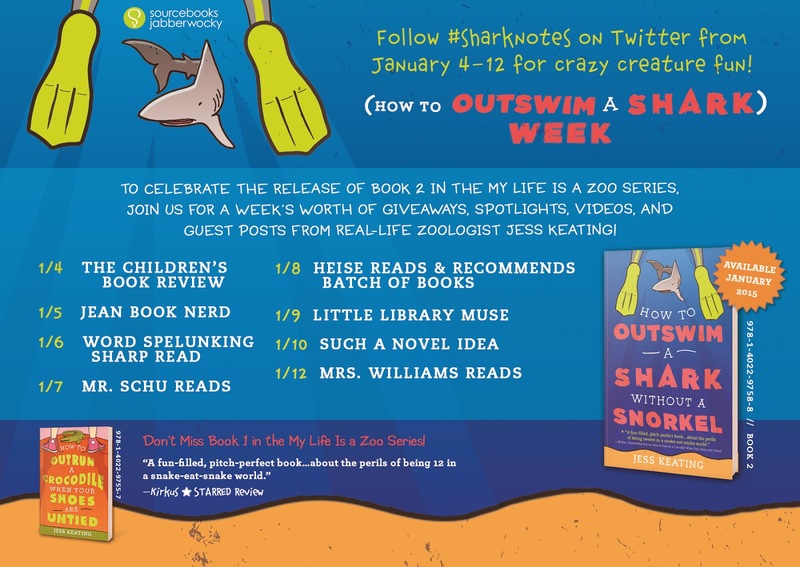 Jess Keating's middle grades debut book, How to Outrun a Crocodile When Your Shoes are Untied, was mentioned by a lot of my teacher friends last year as one to read, and now the second book in the series, How to Outswim a Shark Without a Snorkel, is out. 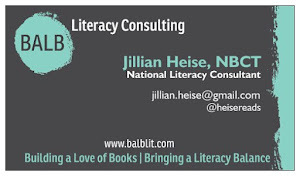 I've been following Jess on twitter and always interested to hear her perspective on things, so I'm thrilled to be welcoming her to my blog today as a part of her release week blog tour, and I'm especially excited about the topic she chose that can be used with students! Twelve Nonfiction Books to Pair with How to Outswim a Shark Without a Snorkel! 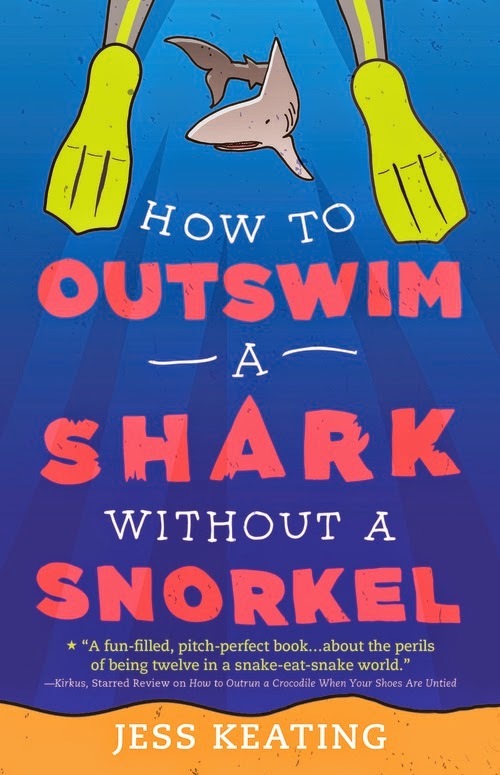 I'm so happy to be hanging out on Jillian's blog today to celebrate the release of my latest book, How to Outswim a Shark Without a Snorkel! Thank you, Jillian! I think combining nonfiction with fiction not only gets readers interested in awesome topics, but also keeps them curious and engaged—learning without even realizing it. 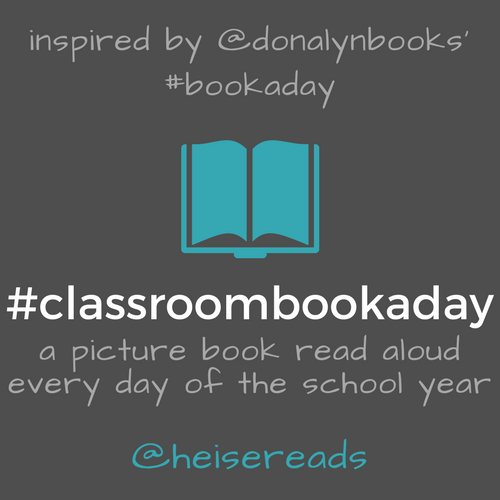 To help further integrate How to Outswim a Shark Without a Snorkel into classrooms, I wanted to share some wonderful nonfiction picture books that you can pair with it! Without any adieu whatsoever, here are some favorites! 1. For a look at the man who helped pioneer marine exploration, try MANFISH: A STORY OF JACQUES COUSTEAU, by Jennifer Berne. 2. For an inspiring story of a young girl who became one of the world's most renowned oceanographers, try LIFE IN THE OCEAN: THE STORY OF OCEANOGRAPHER SYLVIA EARLE, by Claire A Nivola. 3. CORAL REEFS, by Jason Chin is a beautiful look at reef systems of our oceans. 4. I don't know a single kid who isn't into sharks, and NEIGHBORHOOD SHARKS by Katherine Roy is a must read for shark lovers. 5. Many readers have already asked me how they can help out animal species, and books like PROJECT SEAHORSE, and THE DOLPHINS OF SHARK BAY, both by Pamela S. Turner are great examples of marine conservation efforts. 6. As you'll see in How to Outswim a Shark Without a Snorkel, sharks can have some nasty reputations. Explore this further with SWIMMING WITH HAMMERHEAD SHARKS, by Kenneth Mallory. Excellent read! 7. For the animal nuts, LIFESIZE OCEAN by Stuart Jackson-Carter, is a gorgeous look at animals up close, in their actual size. This won't stay on your classroom shelves for long. 8. What about the shoreline? You'll get an amazing view with LOOKING CLOSELY ALONG THE SHORE by Frank Serafini, with incredible photographs. 9. To explore the deepest parts of the ocean with readers, check out DOWN, DOWN, DOWN: A JOURNEY TO THE BOTTOM OF THE SEA, by Steve Jenkins. Many species are covered in this one. 10. All of the creatures in the ocean depend on invisible critters. OCEAN SUNLIGHT: HOW TINY PLANTS FEED THE SEAS by Molly Bang is great for a broad look at ocean ecology. And a bonus! Are you looking for a book to pair with both of my books? WHAT'S NEW? THE ZOO: A ZIPPY HISTORY OF ZOOS by Kathleen Krull is a wonderful introduction to the history of zoos! Did I forget any? What ocean and marine animal titles do you love? 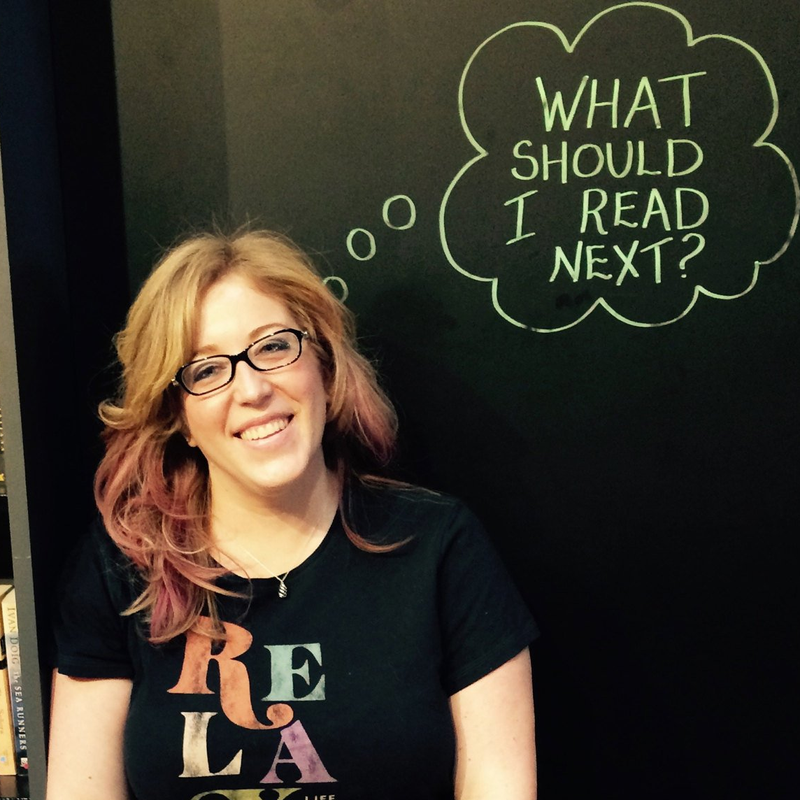 Thanks for visiting today, Jess, and Happy Book Birthday Week! 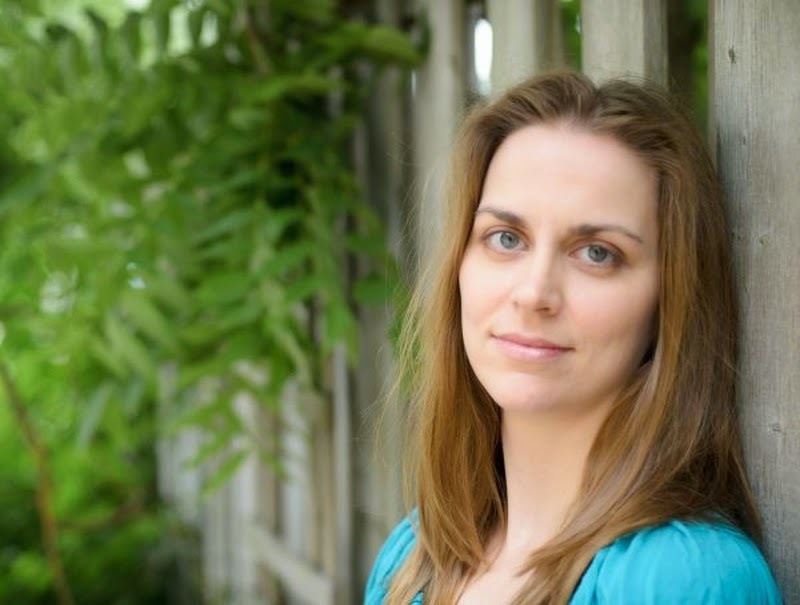 Thanks to Sourcebooks, you can enter to win a paperback copy of Jess Keating's newest book! I LOVE this book! My review is due in 3 days- I can't wait to share!